Dubai swimmers reunite for another edition of the City Swim. Part of the month-long Dubai Fitness Challenge, City Swim will be held at Kite Beach for a day of friendly competition and exercise. Anyone ages five and older can sign up for distance races, which range from 250m to 2500m (must be aged 10+ to sign up for 1000m and 2500m races). Spend the day challenging your limits at the scenic beach under the supervision and support of expert kayakers who will be with you every stroke along the way. The event welcomes all skill levels from novice to expert swimmers, so grab your gear and get involved. There’s no place like Kite Beach to spend the day filled with contagious energy and palpable community spirit. Participants will receive electronic certificates and finisher medals, so everyone is a winner. Sign up in advance as registration closes on 25 October. 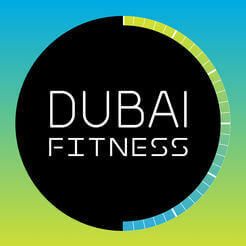 Please note Dubai Fitness Challenge participants can enjoy a 10% discount.